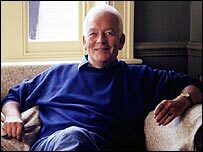 Award-winning screenwriter Andrew Davies is to adapt the EM Forster novel A Room with a View for ITV1, fresh from his success with BBC One's Bleak House. Currently "in development", the project is expected to be broadcast next year. Davies is well known for his period drama adaptations. Past successes include Pride and Prejudice, Vanity Fair and Doctor Zhivago. A Room With A View was nominated for eight Academy Awards when it was made into a film in 1985. Starring Helena Bonham Carter and Julian Sands, the Merchant-Ivory film followed the blossoming love affair between Lucy Honeychurch and George Emerson while on holiday in Florence. Co-starring Dame Maggie Smith, Dame Judi Dench and the late Denholm Elliot, it eventually won three Oscars. Following his critically acclaimed adaptation of Bleak House, Davies has been commissioned to adapt another Charles Dickens novel, Little Dorrit, as well as a TV adaptation of Jane Austen's Sense and Sensibility, both for the BBC. He is also working on the script for a TV drama based on the explicit 18th Century novel Fanny Hill: Memoirs of a Woman of Pleasure and adapting Chann3; 4's The Book Group for the big screen. His adaptation of the Booker-winning novel In the Line of Beauty is currently showing on BBC Two.